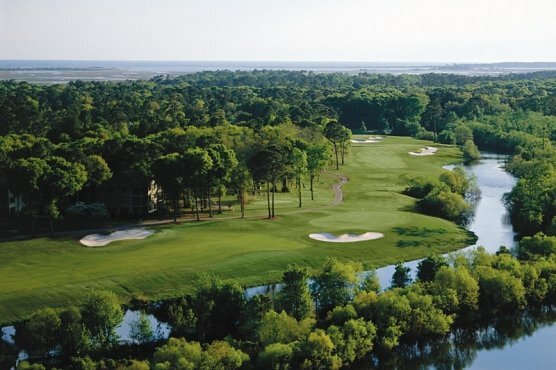 MYRTLE BEACH, SC – There are few golfers familiar with the Myrtle Beach area that do not know the wonderful history of Pine Lakes. Originally designed and constructed in 1927 by renowned architect Robert White as a 27-hole venue, it complimented the elegant Ocean Forest Hotel. The “Granddaddy” as it is affectionately called, has been remodeled and the present 18-hole masterpiece is on the National Register of Historic Places. 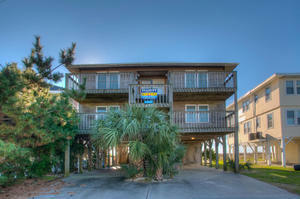 Nestled in the heart of Myrtle Beach the clubhouse and service are reflective of true southern hospitality. Special events, weddings and meetings are al regular part of the historic clubhouse. However, no meeting was more important that a 1954 gathering of Time Life, Inc. executives to finalize the formation of a new sports weekly magazine that came to be Sports Illustrated. Traditionally, sports writers gathered at Pine Lakes to play some golf, while on their way to Augusta and coverage of the Masters. Your visit to the Myrtle Beach area may not be a prelude to covering the Masters, but Pine Lakes should still be on your play list. With the new SeaDrawf Paspalum grass (Where do they get these names? ), from tee to green the course is in terrific condition. Pine Lakes is a great test of golf. A Par 70 layout there is four sets of tees and we recommend you pay close attention to the distances that fit your game. There are only two Par 5s. The course gets its length from the Par 4s.The Back Tees (#4) at 6675 yards play to a 72.3/134 Rating/Slope. The #3 tees are 6305 yards and 70.5/128. The #2 tees are 5756 with 68.1/120 for men and 74.0/131 for ladies. The forward tees are a friendly 4758 yards with a 68.6/111 Rating/Slope. The answer is simple. The older more traditional style of golf course design is more appealing to me. I want to use every club in my bag and enjoy getting a little creative with my shot making. Case in point is holes No. 3 and 4. No. 3 at 426-yards is a great hole and well deserving of its No. 1 Handicap. In fact if something lower was available, it should be awarded. Few average golfers can reach this hole in regulation. You need to be scary long off the tee and accurate with your approach shot. For most of us even a good drive requires a lay-up to a narrow landing area guarded by water. A great chip and putt is a commendable par, but bogey is certainly acceptable. No. 4 at 334-yards is all about accuracy from the tee. To far left and you’re probably unplayable and to far right extends the length of the hole. A drive to left center leaves a low to mid iron approach and a possible birdie opportunity. On the back nine even with its length you’ll need to make some shots. No. 14 is simply a great golf hole: challenging, attractive and memorable. Regardless of where the tees are set a strong drive is necessary. You need to put yourself in position for the second shot to clear a large pond. This hole goes directly towards the ocean and although it appears to be below sea level wind is definitely a factor. A drive with just a little too much air and a misjudged lay-up leaves a long 3rd shot into a well protected green. With a large right side waste area No. 15 will test your mettle. Just how much of that intimidating sand do you want to carry? A cautious drive over the left half of the waste area and a good lay-up, chip and putt make Par a lot easier than what appears from the tee. Although it’s the Par 4s that give Pine Lakes character, do not down play the other holes. The Par 3s on the front nine require some length, while the two on the back nine will challenge your putting skills. The Par 5 No. 5 is a great shot making opportunity, but beware of a front pin position. The trap comes to the edge of the green. No. 10 is straight forward, but more than one golfer has failed to be aware on the increased elevation of the green. If I’m not mistaken every club in my bag was put to use at Pine Lakes. And at the risk of oversimplification that’s exactly what I love about this great golf course.